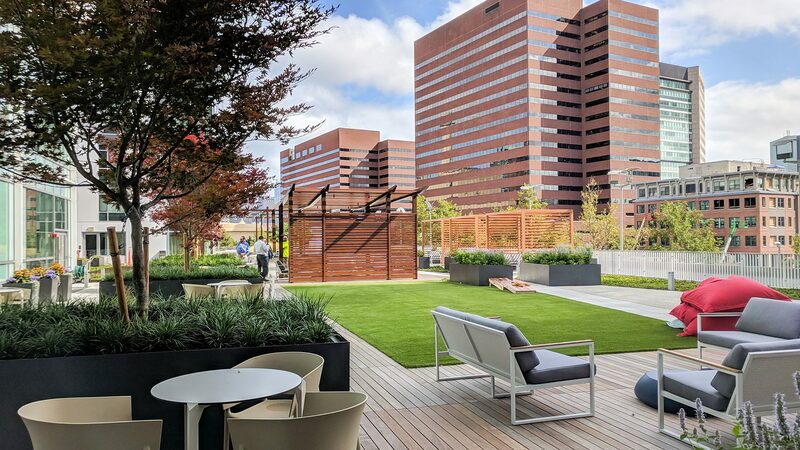 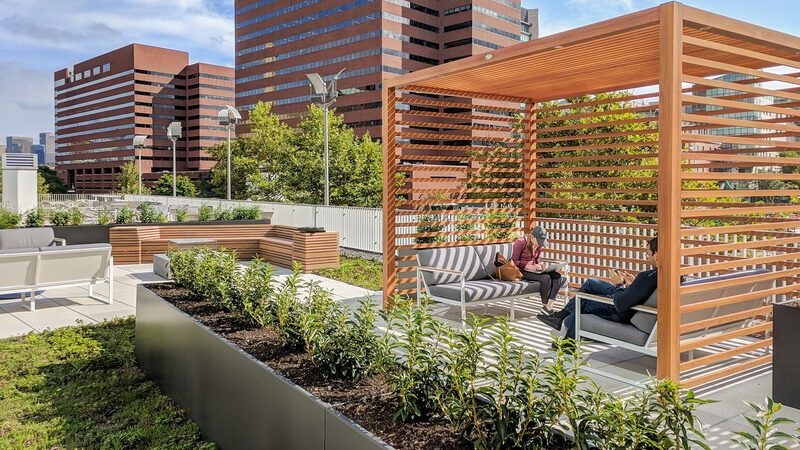 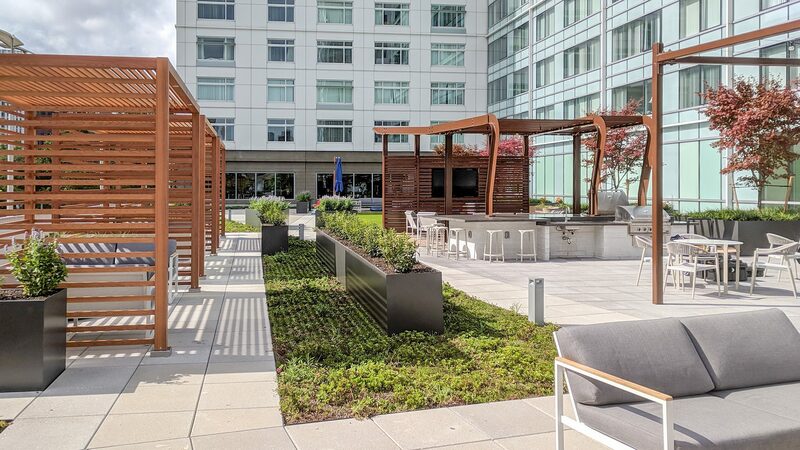 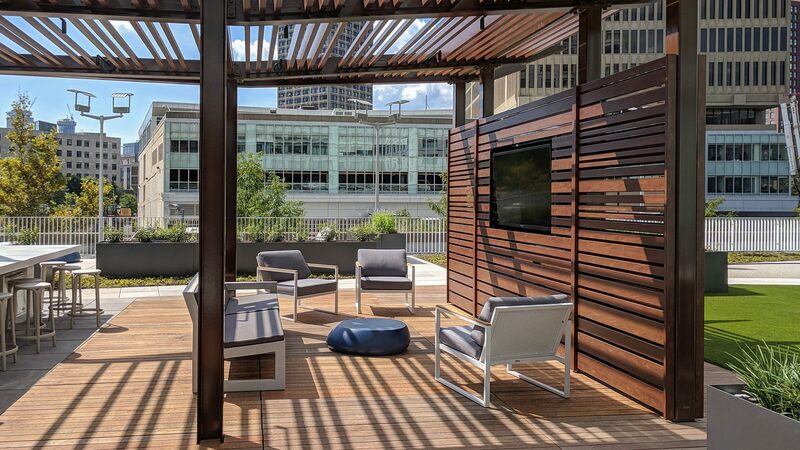 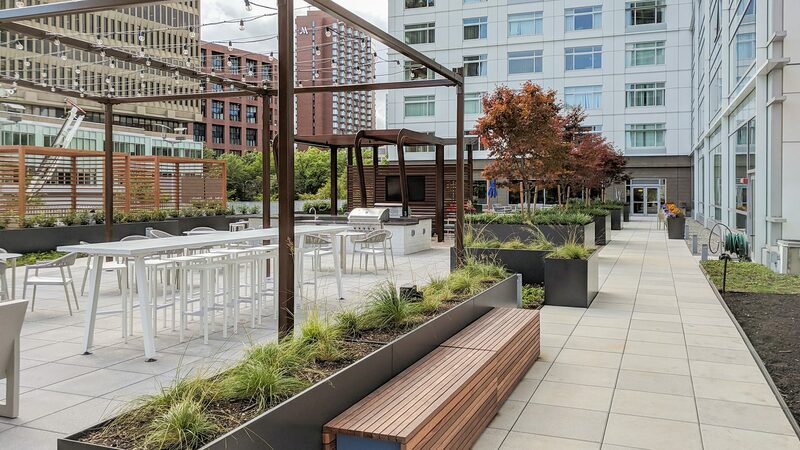 CRJA-IBI Group recently completed upgrades to the 2nd floor roof terrace at Watermark Kendall, a residential tower in the heart of Kendall Square. 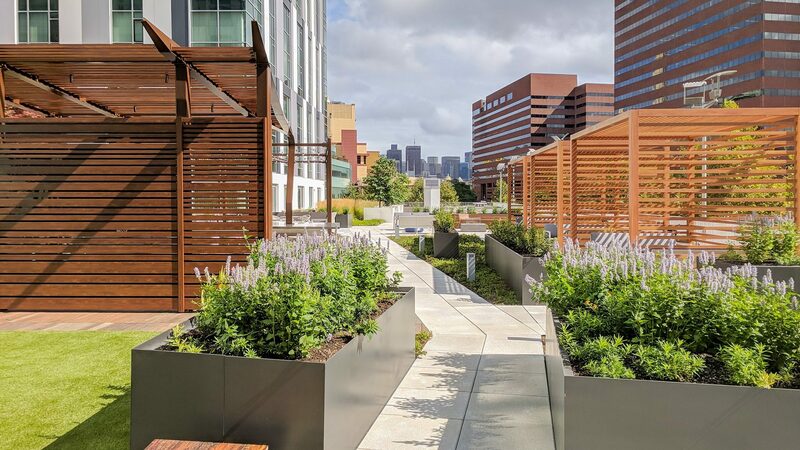 The design transformed an underutilized amenity space into organized, programmable zones. 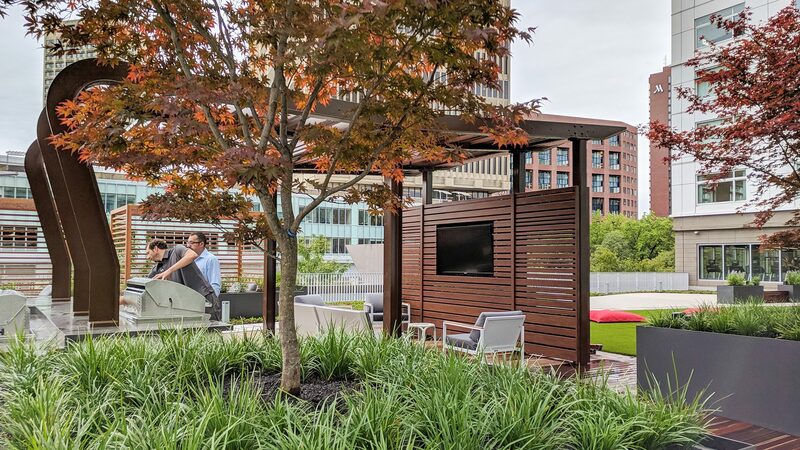 An outdoor grill / bar area, firepits, cabana seating, and a statement shade structure backed anchoring the open lawn are among the many improvements.